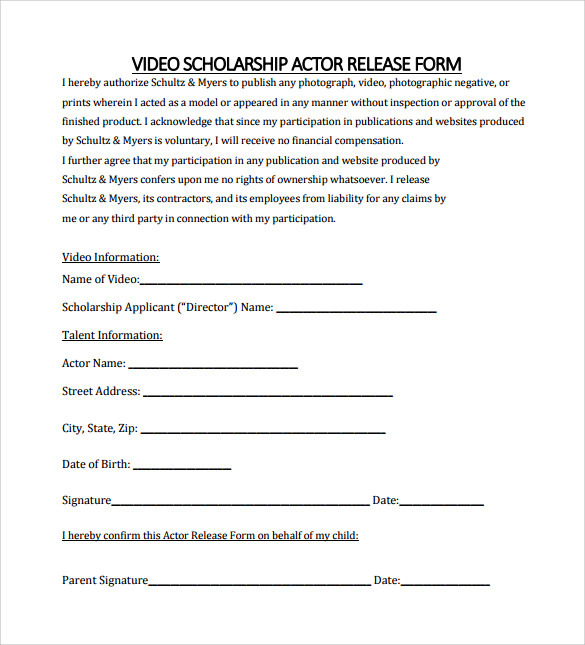 Through the Actor Release Form the actor permits the organization that is working as a production house to create a film, video or any other photograph with the actor, to photograph him, record his voice, performance, poses, actions, plays and any other reproductions done by him for that particular event. 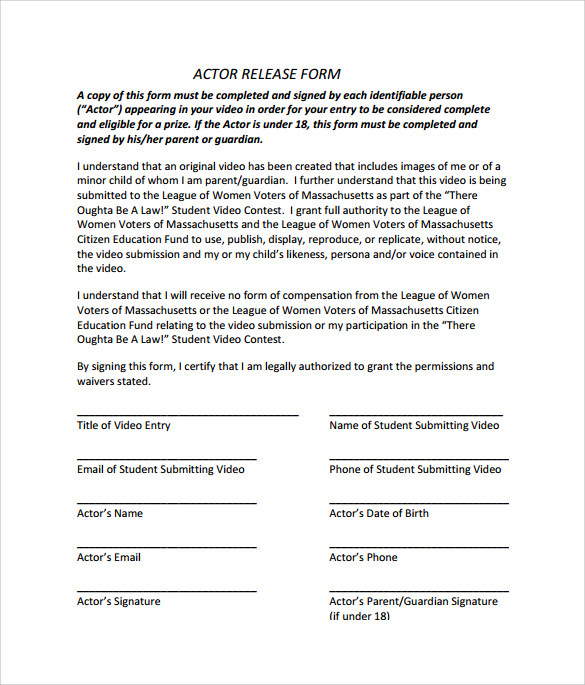 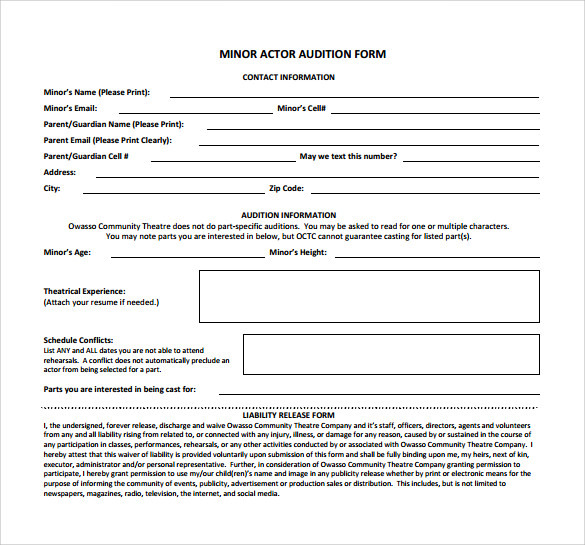 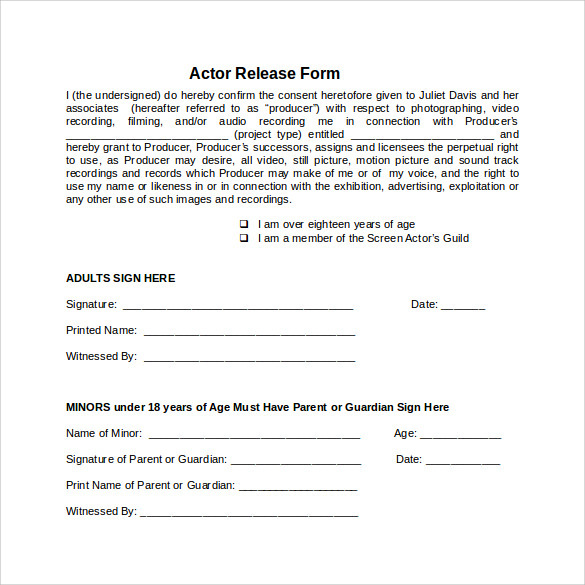 The release form also permits the representative of the producer, the successor and agents to follow the same terms and conditions as the actor has with the producer. 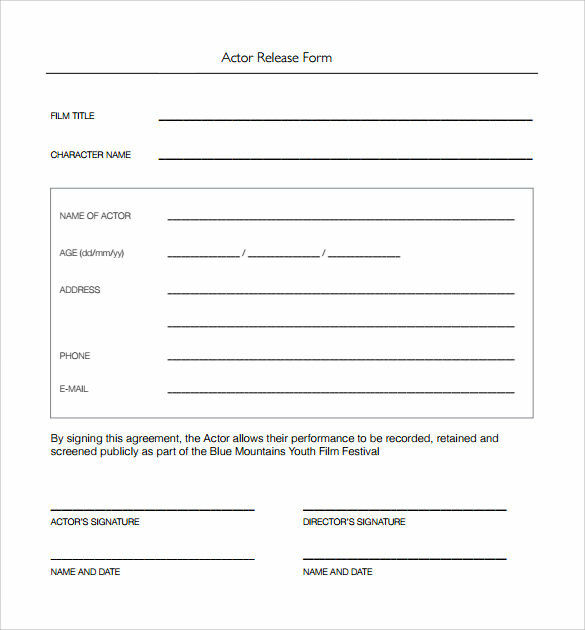 The name of the production house, production title and director will come at the top of the form while the personal details of the actor and the character he is playing in the concerned production along with his signature will come at the end of the agreement.